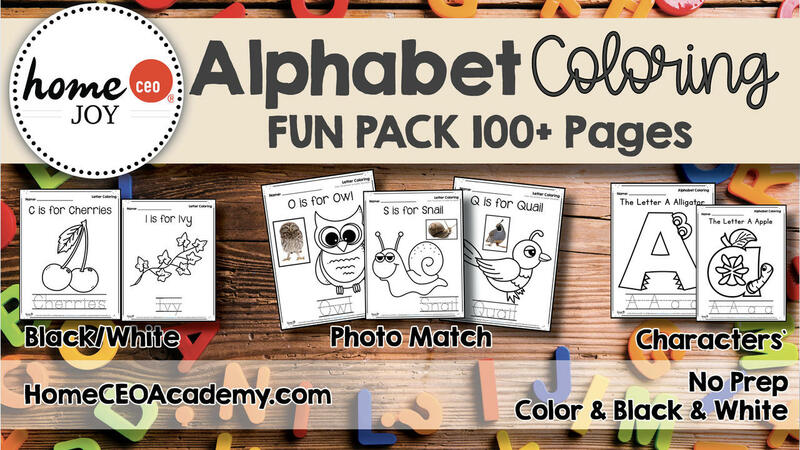 Our 100+ page alphabet Coloring Fun Pack is a perfect choice for teachers looking to supplement their letter learning in their classroom today. These easy no-prep alphabet printables include four alphabet coloring options per letter. Our fun photo match alphabet coloring pages allow children to see the object in real life to guide their coloring. Our students LOVE these! We also include purely black and white pages as well. 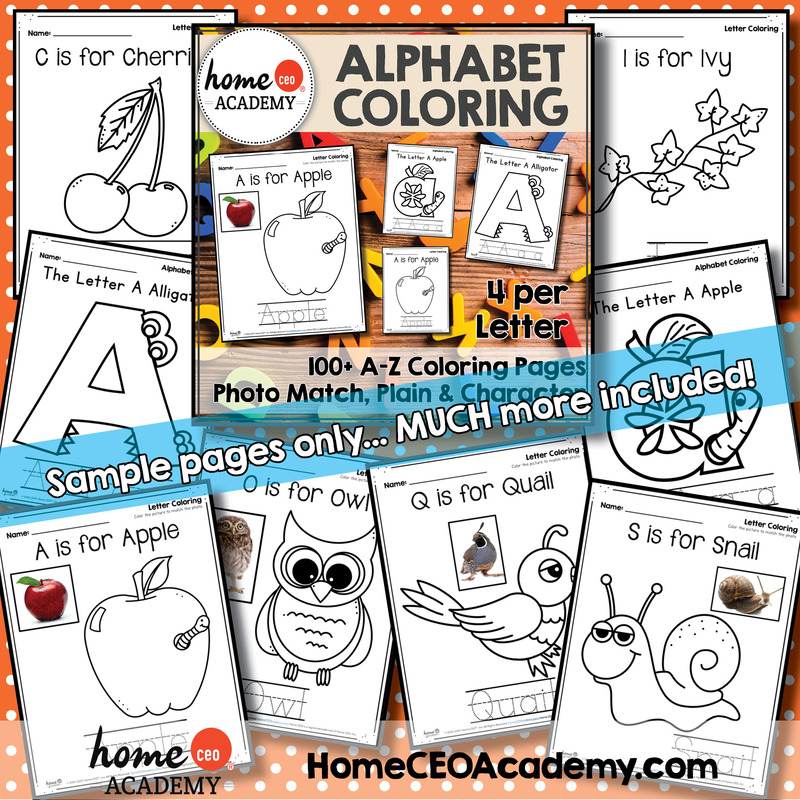 This alphabet coloring packet also features our popular original letter characters too. You'll get both an uppercase and lowercase letter coloring page for each letter. Four styles of alphabet coloring fun are included. Home CEO is a social enterprise! ALL profits from our store are distributed to charitable nonprofit organizations (39 since inception) fighting for justice, education and the alleviation of poverty, so thank you for your purchase! In July 2017, we sponsored the build of a playground primary school in Uganda. In 2018, we sponsored annual scholarships for two students at Sala Monkey Primary School in Cambodia and also sponsored a 4-year partial college scholarship for one student in the Puente del Pueblo after school program in West Chicago as well as supporting their annual college tour trip. So thank you for your purchase! Learn more about who we support here. Alphabet Coloring Pack featuring 100+ Pages of Alphabet Fun.